On the edge of a rocky cliff overlooking the brilliant waters of the Caribbean sits The Drake House villa. This four bedroom villa in the British Virgin Islands will be completed in late 2017 and is one of the four new villas being constructed on Scrub Island this year! Your future Caribbean home is nestled between two neighboring villas on the windward side of the island, facing south. 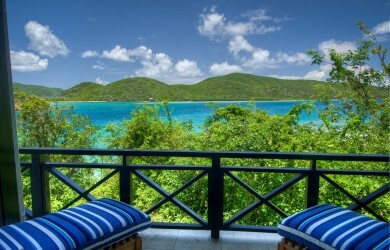 The Drake House gets its name from the channel it overlooks, which separates the island of Tortola from Scrub Island. The Drake Channel is named after Sir Francis Drake, a privateer of the Caribbean in the 1500’s. This four bedroom home is 3,673 square feet of immaculate air conditioned interiors inside and 2,359 square feet of breathtaking exterior terraces for a total of 6,032 square feet. The sliding glass doors throughout the home allow natural light to come flooding in. The living areas and bedrooms have a Caribbean touch with wood beams and bamboo ceilings. Floors mirror the beauty of the rocky island with natural stone flooring. Relax in the covered outside veranda surrounded by the professionally landscaped greenery and take a dip in the private infinity edge pool. The gourmet kitchen comes boasts Subzero and Wolf stainless steel appliances and granite countertops. With custom furnishings and appliances throughout, you will be ready to move as soon as you step inside. The luxurious master bath includes a free standing soaking bath and enclosed rain shower with stone flooring throughout. The master suite includes a spacious seating area, and opens onto the private outdoor terrace with endless views of the turquoise waters of the Caribbean Sea. One of the major advantages of owning a piece of Scrub Island real estate is all the perks and amenities that come with the island. 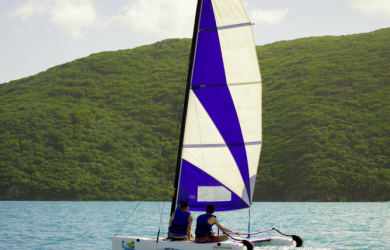 Head to Marina Village where you can dine at the Gourmet Market & Café, explore on a complimentary kayak or paddleboard and jet through the waters on a Flexboat. 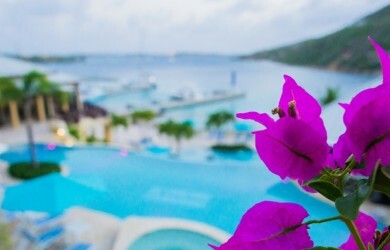 Soak up the sun on one of Scrub Island’s three private beaches and pools, enjoy a meal at one of the four restaurants and rejuvenate at the award winning Ixora Spa. 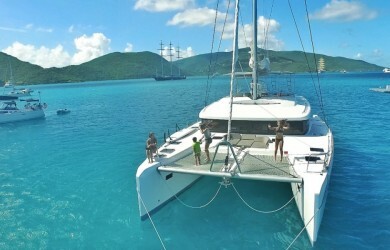 Scrub Island’s location is ideal for island hopping and exploring the rest of the BVI. You can purchase this divine abode and escape to our haven in the British Virgin Islands whenever your heart desires through Scrub Island’s Real Estate opportunities, or you can book The Drake House for your next vacation to Scrub Island.